The New York Giants have had to make a decision about Eli Manning ever since last season, and it looks like they’re making that decision not through action but through inaction. The team has decided not to move Manning and because of that, Manning will now receive his roster bonus of $5M as Saturday was the last day that the team could have moved him without paying it out. Because of that, it’s very obvious to see that the team isn’t going to move Manning, since they would have done so before paying out the roster bonus if they intended on making a trade or even releasing Manning, which mainly would have been a move to save cap space. Manning is now the highest paid player on the team after Odell Beckham Jr. was moved, and while two of their other top earners were both traded last week to the Cleveland Browns, the cap situation still isn’t the best right now. It was thought that a move to send off Manning and cut down his $23M cap hit was in the realm of options, even if it was an unlikely one, but those thoughts have been put to bed by the Giants paying his roster bonus. Nobody is surprised by that exactly. 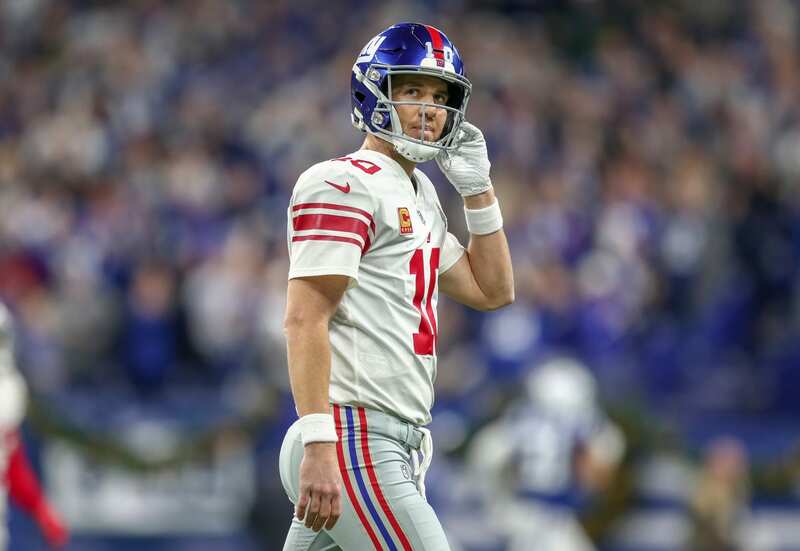 It seems that if the Giants do go for a new quarterback in the draft, that player will end up learning under Manning, while Manning retains his spot as the starter for at least the opening part of the season. That rookie could be any number of players, but of course, the signs point to it being Dwayne Haskins Jr.